Rick Harp: Welcome to Infectious Questions, the public health podcast from the National Collaborating Centre for Infectious Diseases. I’m Rick Harp. Lately, our focus has been on matters related to refugee health. We’re pressing ‘pause’ on that for the moment to turn our attention to tuberculosis. This February, the city of Vancouver played host to hundreds of TB experts. Joining me now with more on why is Shivoan Balakumar, one of our Centre’s project managers. Hello, Shivoan. Harp: Tell me more about this event entitled End TB 2017. Balakumar: Well, it’s a meeting of the International Union Against Tuberculosis, specifically, the North American Region, otherwise known as NAR. They cover such themes as TB in remote, northern and Inuit communities, immigration and migration, and new technologies. Harp: So who was there and from where? Balakumar: A wide range of people. From TB nurses, infectious disease specialists and basic scientists, to TB program researchers and students. Harp: Now I know one of your goals at End TB 2017 was to get a sense of people’s TB priorities. How’d you make out? Balakumar: I heard some interesting answers, beginning with Deborah Van Dyk, a public health nurse who was in Vancouver to present on the Taima TB Youth Education Initiative in Nunavut. Interviewee: [D. Van Dyk] Top priorities… I mean, I think that looking at TB among Aboriginal groups should be a top priority in terms of reducing TB in that population that’s connected to a lot of these healthcare access inequities. Interviewee: Lee Reichman, a senior advisor at the New Jersey Medical School Global Tuberculosis Institute at Rutgers, New Jersey. Awareness—I mean, the TB community is aware that TB is a global problem, and a problem, not to that great extent in North America, but certainly in Canada, Aboriginal populations and things like that. And awareness that a TB case anywhere can affect anybody because TB is an infectious disease. And one of the great things about this conference, this one especially, is we’ve seen a lot of new technologies and new diagnostic tests and stuff that we wouldn’t even have thought about ten years ago. And this translates to treatment and preventive treatment, and really might make a difference. But all of these issues require money, and governments are loathe to spend money, especially on poor people and minority groups. And that’s the perception, that TB affects those groups. But TB can affect anyone, anywhere. Interviewee: My name is Hugo, I’m from Vancouver. I’m from BCCDC. I’m a nurse consultant for TB. I’m really interested in how we assist our patients, or… to have patient outcomes. How do we give agency and mobility to our patients? I’m also interested in how do we provide governance and vision and leadership? And it has to come from the federal government for having a more mutual, a more united, front with respect to TB governance across Canada. I think we really need one national strategy instead of thirteen; it’s a fragmented system. You know, as a low-burden country with all these resources, we sit, like some people have said, in our ivory tower and yet we can’t get it together. I mean, I’m a new person to TB, but I’m really interested in how we come together, and, instead of having duplicative efforts, how do we conjoin ourselves? Interviewee: Abdul Yussein. I have a poster looking at the immigration medical exam, trying to tease apart factors that we can potentially modify or change that can improve that process. I knew a couple of people here but it definitely expanded my network in B.C. and the BCCDC group particularly, and their interest in migrant health and screening for tuberculosis around those communities, yeah. Interviewee: My name is Lisa Armitige. I’m coming from Houston, Texas. I was one of the conference planners this year actually. And I think the one thing that we’re all most concerned with is that we have a million people dying every year of TB. We have drugs, we have medications, we have tests, and we don’t have the will to get forward and get the things that are needed to the people who need them. I think what we’re finding is that you can have all of the tests in the world, we can come together as a group and we can talk about all the tests we need. And we need more drugs, we need more tests, but the honest truth is that the people that we have that are dying now don’t even have access to the things that we have available to us now. And I think we’re understanding, yes, we do have some shortcomings in some of our drugs, we do have some shortcomings in some of our testing, but we’re still not reaching the people who actually need us. That’s what I’m coming away with. Balakumar: So there you are, Rick. A sample of priorities brought forward at End TB 2017. Harp: So that’s a nice intro to the event. What can we expect in future ‘TB Talk’ episodes? Balakumar: We’ll bring you a number of one-on-one conversations I had with experts at the meeting based on questions shared with us by public health practitioners across Canada. Harp: Look forward to it. Thanks, Shivoan. Harp: And thank you for listening to Infectious Questions, a production of the National Collaborating Centre for Infectious Diseases. Production of this podcast has been made possible through a financial contribution from the Public Health Agency of Canada. Note that the views expressed here do not necessarily represent those of the Agency.  The host organization of the NCCID is the University of Manitoba. Learn more at nccid.ca.